Every American remembers where he or she was on September 11, 2001, when they got the news (if they were old enough to be aware of their surroundings.) I was teaching at a small private school at the time, and it was right before our 10:00 break when the school secretary knocked on my classroom door. I stepped into the hallway to find her white faced and tear stained. “Amy, they’ve hit the White House and the Pentagon. We’re at war.” No explanation on who and misinformation on events, but the pit of my stomach dropped as I had to turn back, wide-eyed, to face a room full of teenagers blissfully unaware of what had happened. My dad had done briefings at the Pentagon. How could this happen? When the bell rang for our break, we rushed en masse into the computer lab and began frantically googling. The rest of a school day was a blur–I remember the conversations about whether or not to cancel (We chose no–terrorists will not disrupt our schedule. Their goal is to make us afraid. We run away, we let them win. ), the phone calls saying to get gas on the way home as it might go up to $5.00 (I got it at $1.81–almost 2 times our norm–the station down the road was up to $3.15. ), and the wondering of just what had happened. I went home and watched the news for eight hours straight, running back and forth between my rooms and the family I lived with, swapping stories and recommending channels. I remember how we waited for them to find survivors, hoping and praying. How patriotic everyone was, and how eerily quiet the skies were for the next several days then how weird a plane looked when they finally started flying again. I remember President Bush’s speeches, one heard standing in a room full of enlisted men when he announces our intention to fight back, and they all cheered. 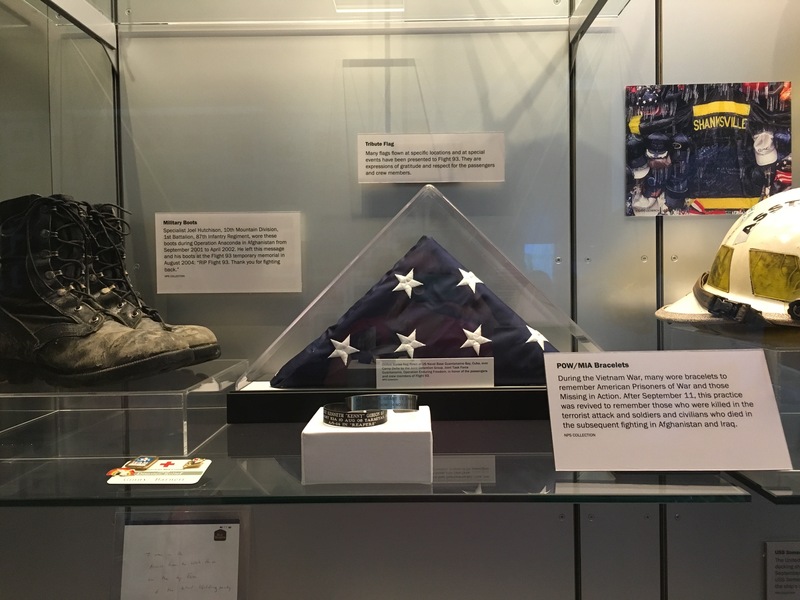 I swelled with pride at flags hung over buildings and off of equipment, awed by the tireless service of men and women who poured from across the country to help, yet I also felt the sorrow of unimaginable loss–mothers, fathers, husbands, wives, children. 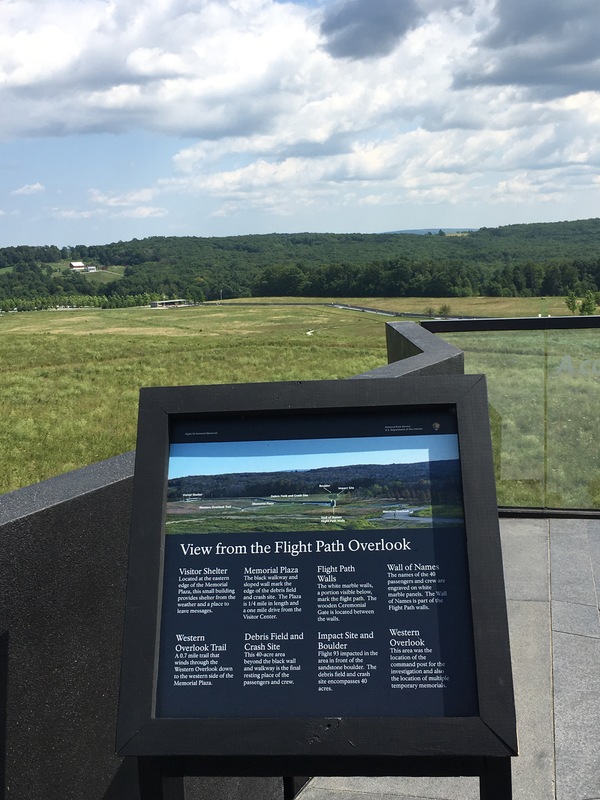 In the focus on the Twin Towers and the Pentagon, especially trying to find survivors, Flight 93 kind of got passed over. We mentioned they had fought back and probably saved the White House or the Capital, and Todd Beamer’s “Let’s Roll” became well known, but mostly, they weren’t the main focus. 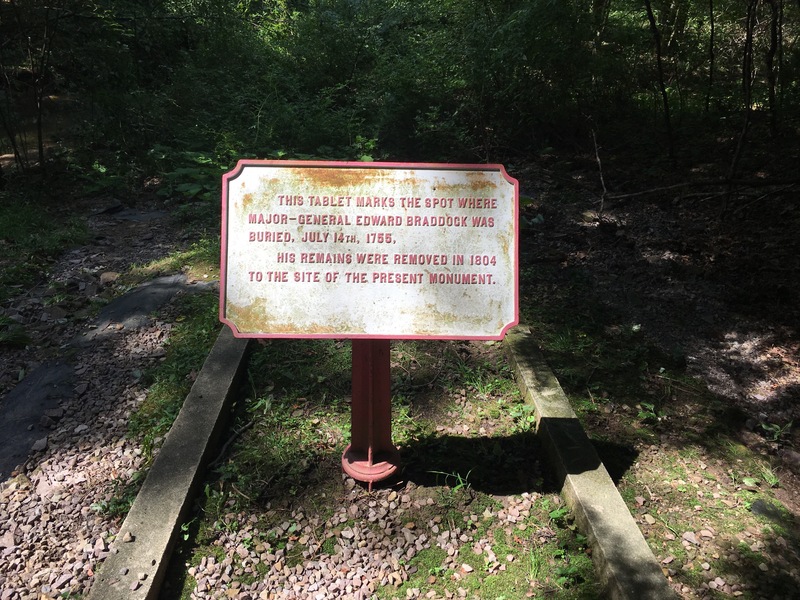 So, when I drove into Western Pennsylvania and passed the sign, I felt drawn to find out more. 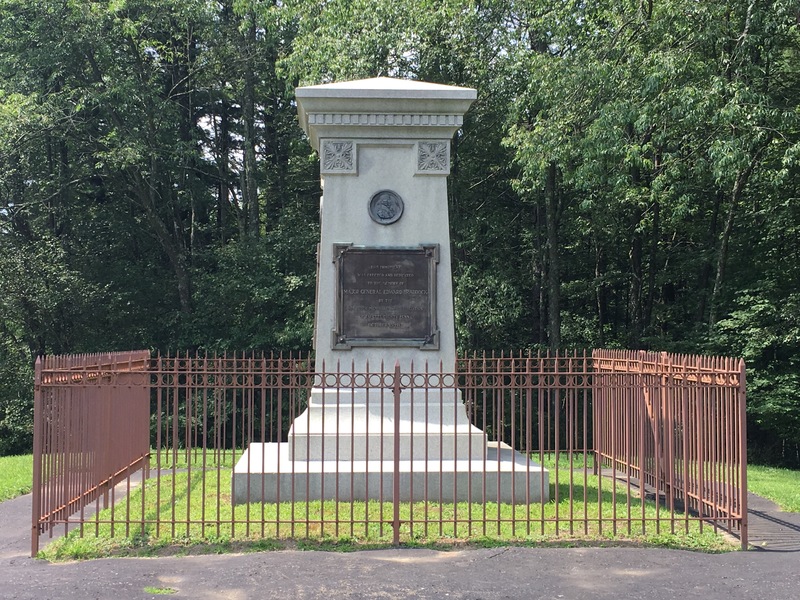 Today (7/30/17), a dear friend who had gone to the Memorial on Friday when it had been packed wanted to revisit, so we went, though it isn’t anything to do with my grant or George Washington. Yet, since he also chose to fight back–even against insurmountable odds–I think I can still learn something. Because of their foresight, FBI agents quickly realized this site would yield the most information, since there was no debris mixed in with the plane remains–a thought that never occurred to me about the other buildings. This site is the only one where both the cockpit voice recorder (only one) and the flight recorder (one of two) were both recovered. You can read the transcripts of the events and voices, but they don’t have the audio available. But, reading the transcripts while watching the flight simulator is a truly awe-ful (in both senses) experience. Additionally, they recovered one of the terrorists’ credit cards and handwritten plans/instructions–I can’t imagine how these survived the inferno of a 535 mph impact with 5,000 gallons of jet fuel. But, this card was the key to tracing the money trail. There were so many fascinating things to see! My other favorite stop was being able to get a short biography of each passenger, what effects of theirs were found, and what tributes have been made in their honor. Two of the most amazing effects to survive (to me) were a man’s NIV Bible inscribed with his name and a woman’s prayer card from her husband’s memorial service. I’m so glad each person was honored. 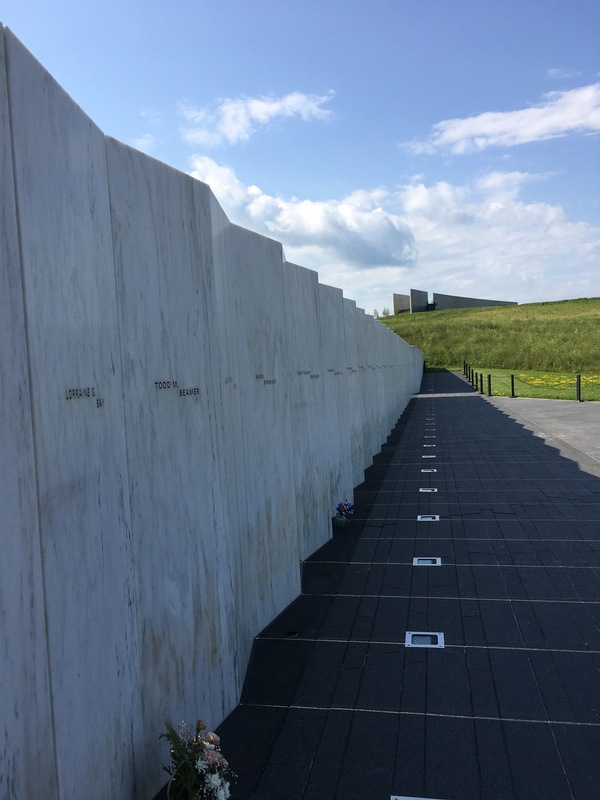 We wondered how many visitors who we encountered had loved ones or friends on that wall. After looking through the Museum, we headed down the approximately one mile meandering walk out to the crash site. 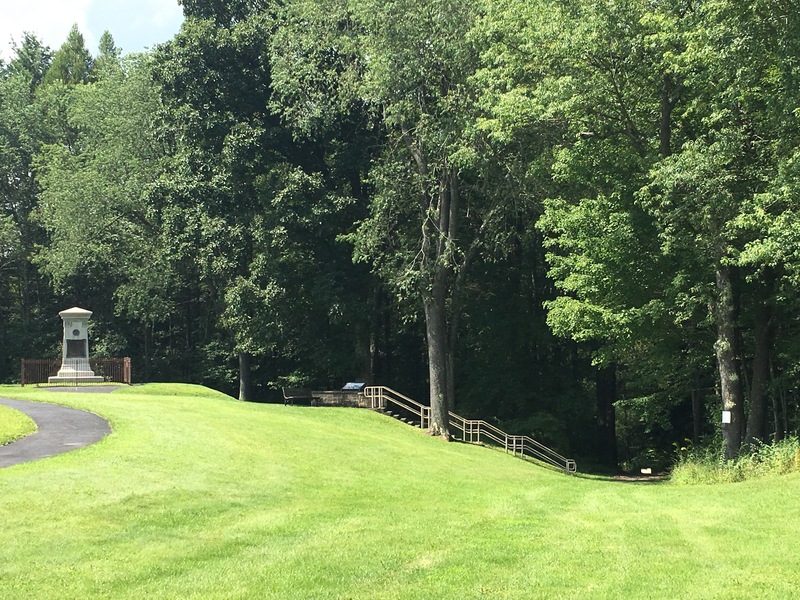 Since it is a burial ground, you cannot walk directly out to the spot, but a large boulder indicates where it is. Additionally, there is a wall of names and niches along the walkway where visitors can leave tributes. 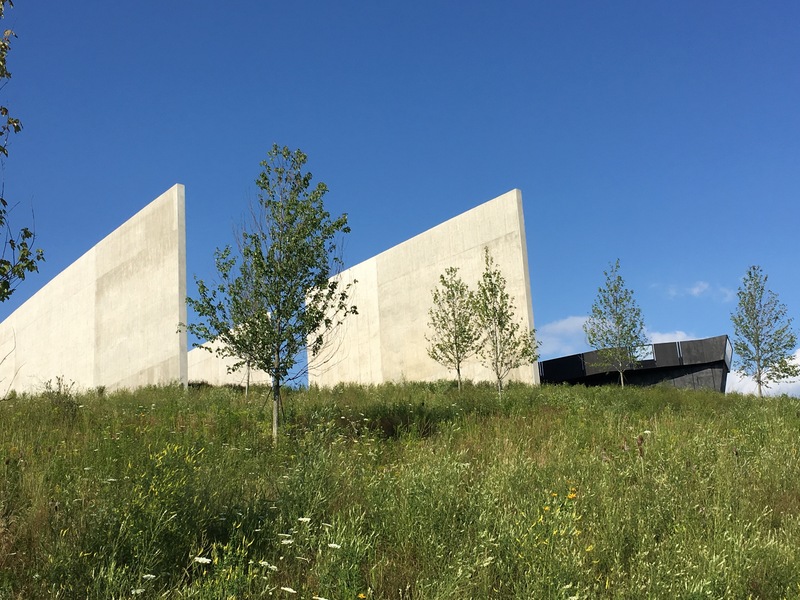 It’s a beautiful walk filled with wildflowers against a mountain vista–stark contrast to the horror which happened here, and yet another reminder of beauty from ashes and bravery and honor in the face of terror and evil. It’s a poignant reminder that, as one visitor summarized Edmund Burke’s statement, “‘The only thing necessary for evil to triumph is for good men to do nothing.’ You didn’t ‘do nothing,’ and so evil didn’t triumph.” May we take from this example the courage to stand against evil wherever it lurks and do what we can to fight it! I started out my morning (7/15/17) with a quick trip through Valley Forge. I have wanted to visit here for a while, and I intentionally chose a hotel in the vicinity so I could visit. Because of the rain the past two days, I waited til this morning so I could get good pictures for use in class power points. Another side of the war we don’t normally consider is its affect on the townspeople living there. A picture display in one of the cabins explains that soldiers took down farmer’s fences to use the wood for construction. 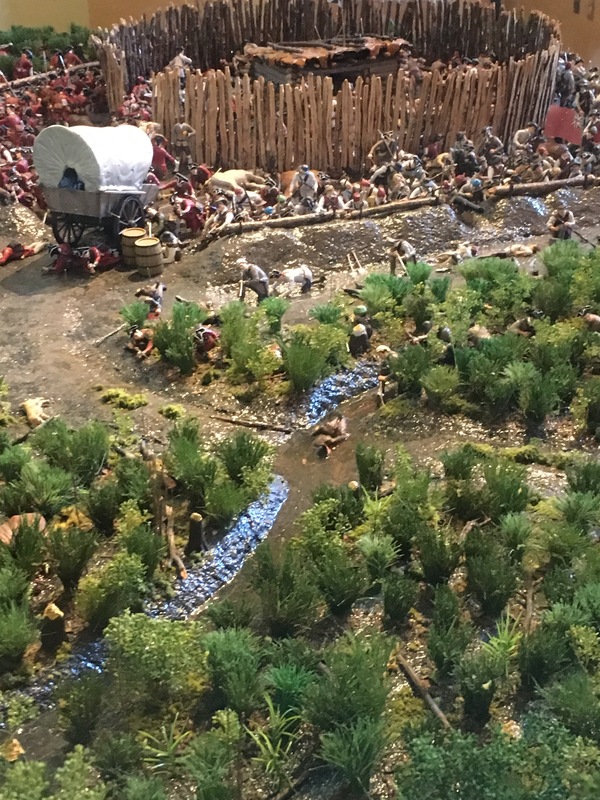 They also demanded livestock of the people for food, and the encampment made such a mess of things, the townspeople couldn’t even plant crops after the army had left, the fields were so deep in mud and trampled from drilling. I’m sure that made for two hard winters for the people who lived here–both while the army was here and after they’d left. 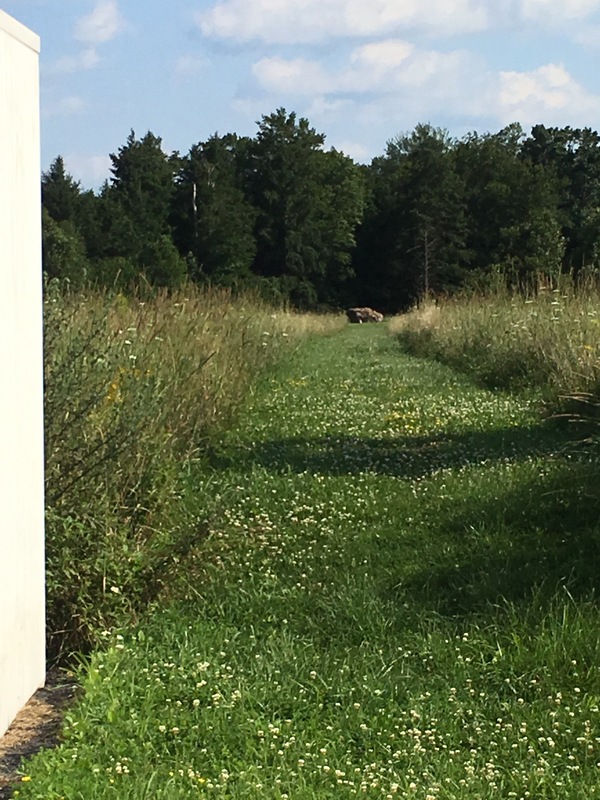 Apparently, George Washington visited later after fields were able to be plowed and planted, and–a farmer at heart–was pleased to see the agriculture up and running again. 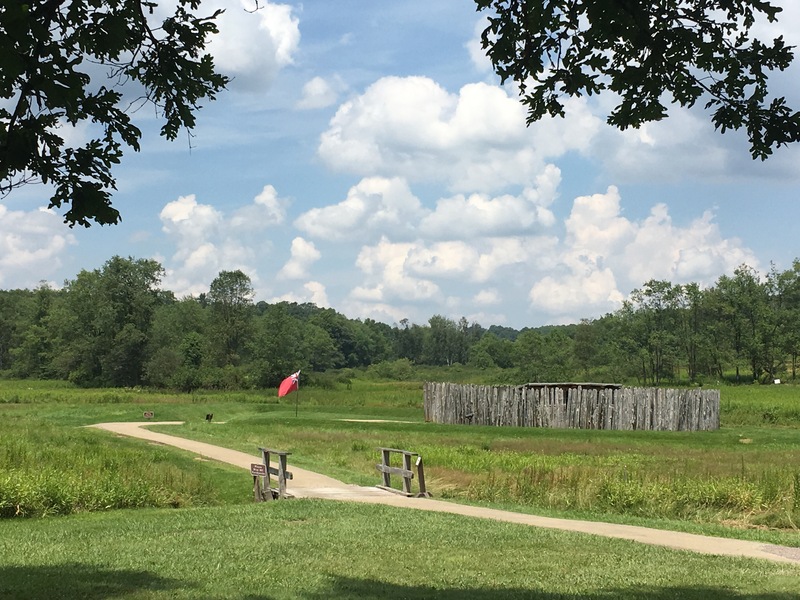 While I’m sure there was much more I didn’t have a chance to explore–especially the reenactment areas–I needed to head to the Old Barracks. The Old Barracks is a fascinating Museum and the only remaining one of its kind. It contains both original and reconstructed portions. They do tours every hour, and it is well worth the price of admission! Our tour guide, David, gave an amazing tour lasting over an hour (I had to leave to get to Gettysburg). He started by explaining the reasons behind the creation of the barracks. There had been a movement in parliament to expand the British empire. As a result, England sent 20,000 soldiers–the single largest investment of soldiers–to the colonies to help secure the lands to the west. Problems arose because the British army had to be treated differently than the colonial militia. Usually militias served 9-12 months as needed in a crisis (often going home for the winter when they disbanded to be formed again as needed.) But, British soldiers needed to be housed, as they obviously weren’t going home for the winter. Later, in order to handle this situation, Britain passed the first quartering act: The Mutiny Act of 1765. Under this law, British soldiers had to occupy barracks, then public houses (taverns). If none of those were available, then they moved to private homes or rented warehouses. 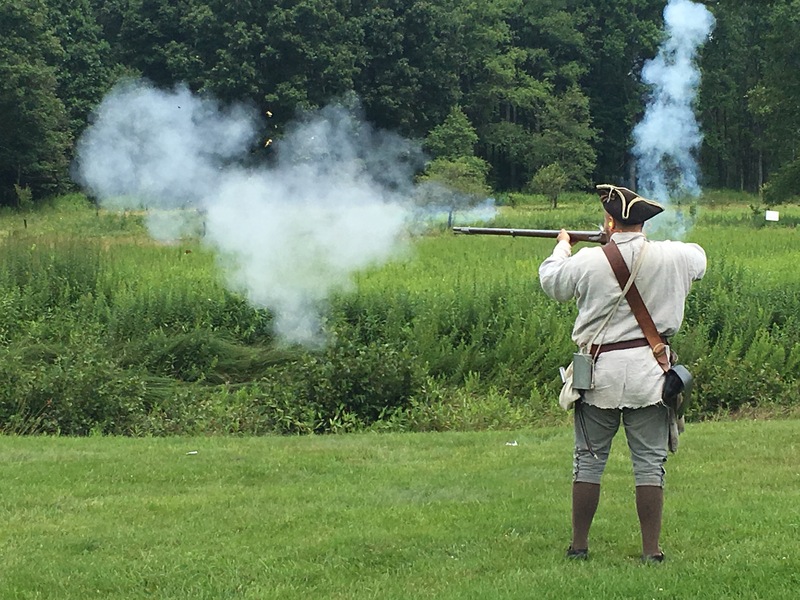 During the French Indian War, New Jersey didn’t have anything to accommodate troops. The Population was only 1,000, and 250 British soldiers were sent. With no places to put them, they had to be quartered in homes. 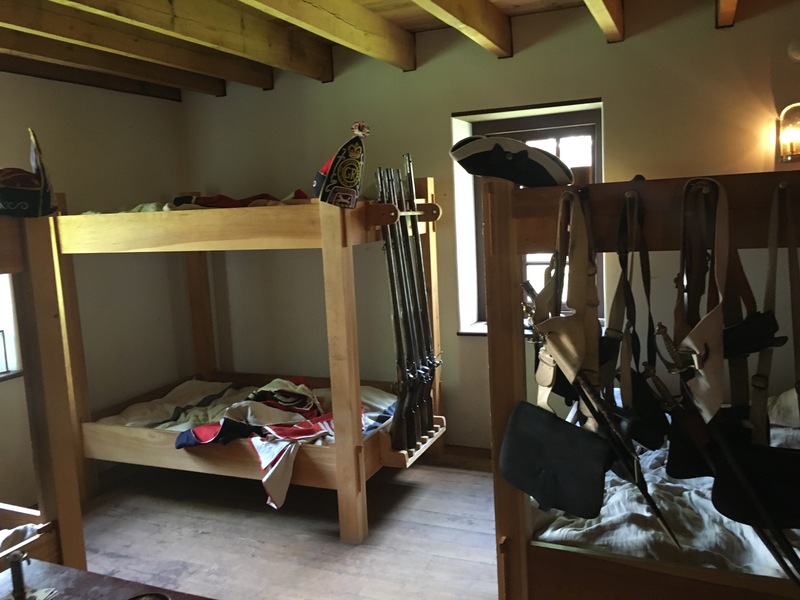 Contrary to popular belief, you did have right to refuse to house soldiers, but you got paid for quartering troops, so many people accepted the offer. However, the citizens of New Jersey began to complain that they were not paid as much as they were owed. Additionally, though the British sent the largest number of troops they ever had, they were not winning the French Indian War. One by one, states stop raising armies to support the cause. Then, in 1758, William Pitt became Prime Minister in Britain, instituting many new policies. First, he fired the old commander and instead of demanding things from the colonies, he started formally requesting what he desired. He also made the colonists a deal: He offered $100,000 lbs in gold specie–as much as you spend for the crown, you’ll get a portion of that back in specie. Since specie was hard to get in the colonies, this spurred many colonies to help out the crown. New Jersey voted to erect 5 barracks to house soldiers. This is the only one still standing. Within two years of William Pitt’s leadership, France surrendered. The rooms in the barracks are 15 feet square, designed to house 12 men. Men were divided in 6 man mess groups which shared camp (mess) equipment. The barracks was designed to house 300 soldiers. When a tent is 7 feet square at base, this is a real improvement–especially when the building usually only occupied 200-250 men. 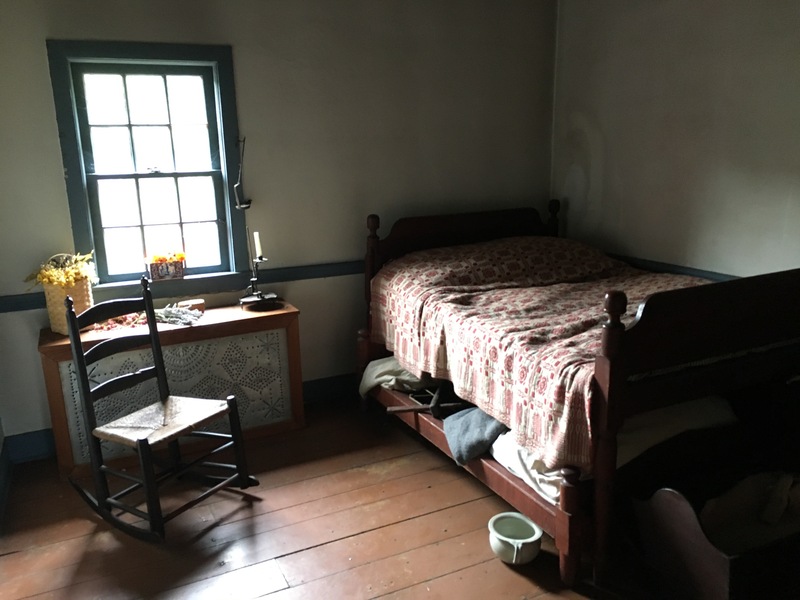 The winter quarters were designed to conserve the soldiers’ health. Drilling usually started back up again in March. So, in the winter months, soldiers really didn’t have much responsibility other than once a month guard duty. David also gave insight into the lives of officers. He reminded us that Officers had to be gentlemen. Because of that, most soldiers never aspired to leadership. Basically, commissions recognized individuals already in place in society. Otherwise, you had to purchase commissions (which cost about 4 years’ salary). Additionally, because officers were gentlemen, they were expected to pay for themselves–uniforms, the trip over, etc. Initially, Benjamin Franklin turned down a commission because he was still a printer (gentleman didn’t work with hands). Later when he sold his business, he accepted the title of Colonel. 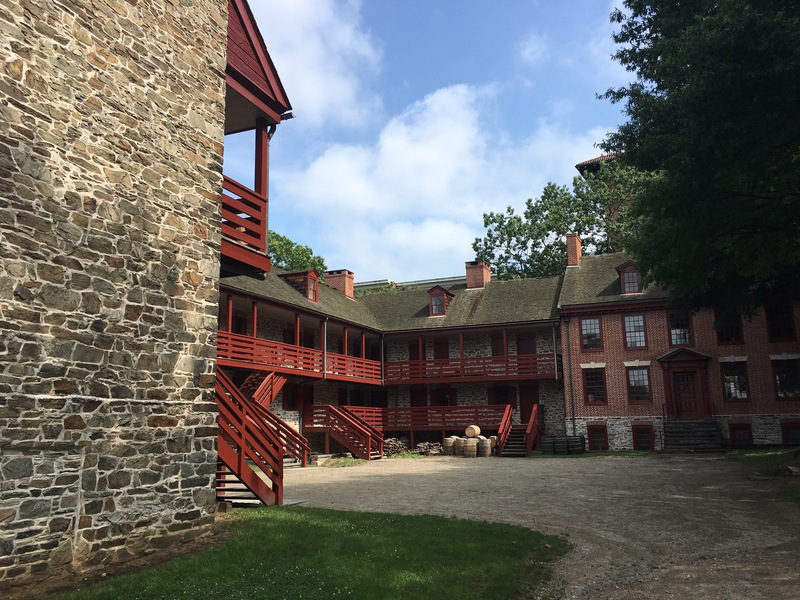 While attached to the barracks, the Officers’ house was tacked onto end of building (no doubt the idea of 300 leaderless men left to their own devices was the motivation for this.) While guests were illegal for enlisted men, the officers’ quarters were designed to bring visitors in. The Officers’ house was designed for 12 officers, though there likely was only 8-10. Inside the quarters also gives insight. The Spanish Brown paint used in the office area is the cheapest paint available, and corner fireplaces were more practical but less elegant. On the opposite side of the house, the long room is painted in Prussian Blue–the most expensive paint. This room was used for entertaining. When you understand that a Captain could draw 7 times what a soldier’s ration was–and they had the option to get the equivalent cash price, most took the cash, then bought their own food. Understanding this context of both officers and soldiers helped me understand Washington’s role, and the fact that he had no possibility of becoming an officer under the British standards. In fact, he even resigned his commission in the French-Indian War and served as an aid because a non-ranking officer (Washington) could not hold leadership over a commissioned officer. 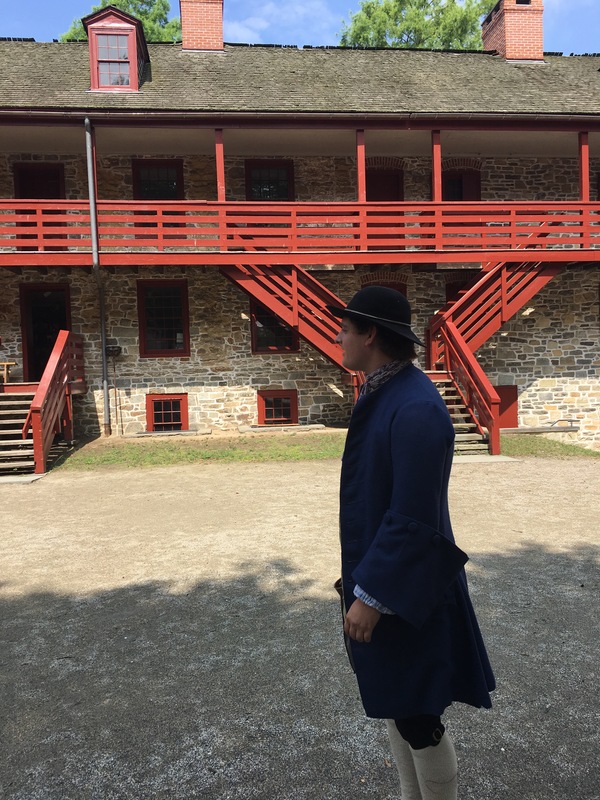 David concluded the tour with information on George Washington’s role in the American Revolution and the uses of the barracks after the war. 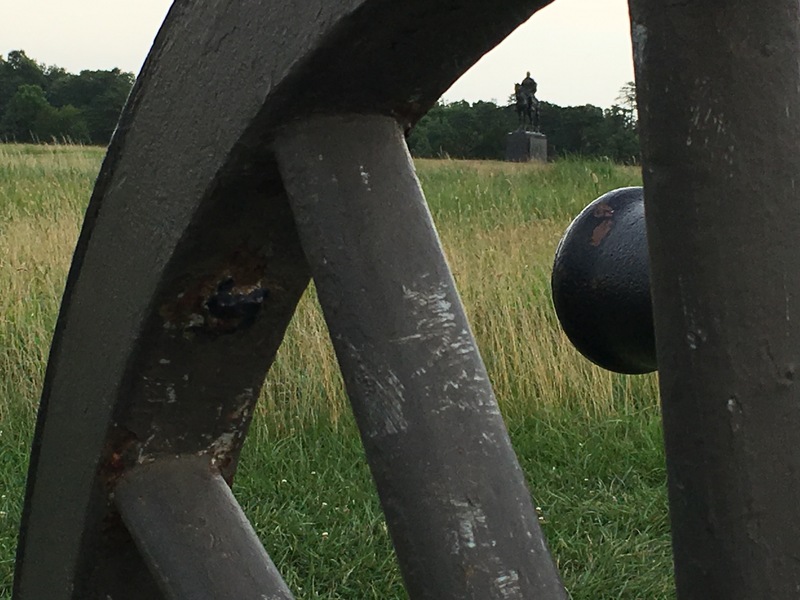 But, I needed to head to Gettysburg and towards home. This concludes leg one of the Washington grant studies. Stay tuned for the Western Pennsylvania installments! Since I came this far to visit a friend in Philadelphia, I wanted to take advantage of being here, since I’m not sure when I’ll be in the neighborhood again. 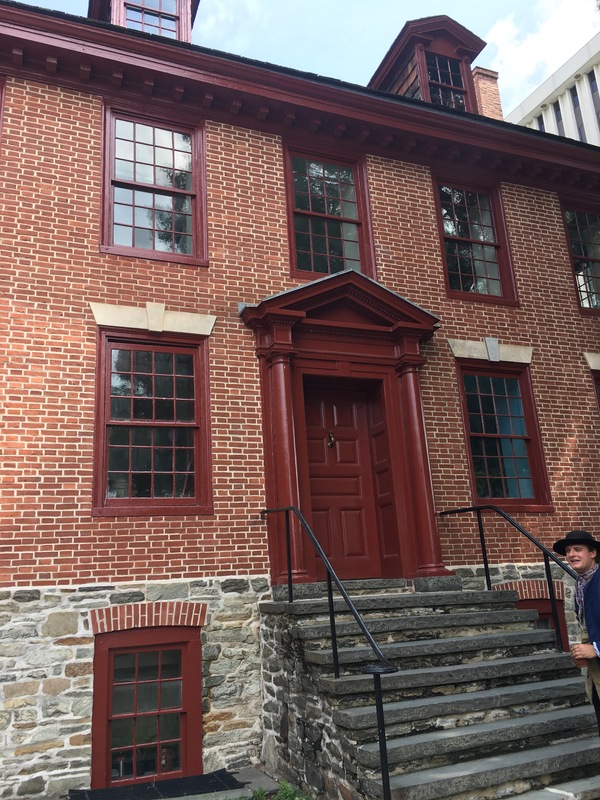 Because of that, I booked a hotel by Valley Forge and planned to spend time today (7/13/17) in Trenton. By the time I actually located my hotel (a fiasco that’s a story for another place) and navigated through the construction and traffic to actually reach the right entrance, I discovered I was unable to check in (despite the website claiming 24 hour check-in. Apparently, it was not the official website.) So, I left already frustrated with this leg of the journey. Navigating around New Jersey is nothing like navigating around Virginia. I desperately missed the times of going hours as the only car going in my direction and one of only a handful on the road. But, finally, I made it to Trenton. Now to figure out where to go. If I had such famous events as “The Turning Point of the American Revolution” to my credit, I would shout it from the mountaintops. I mean, this is how we became a nation! 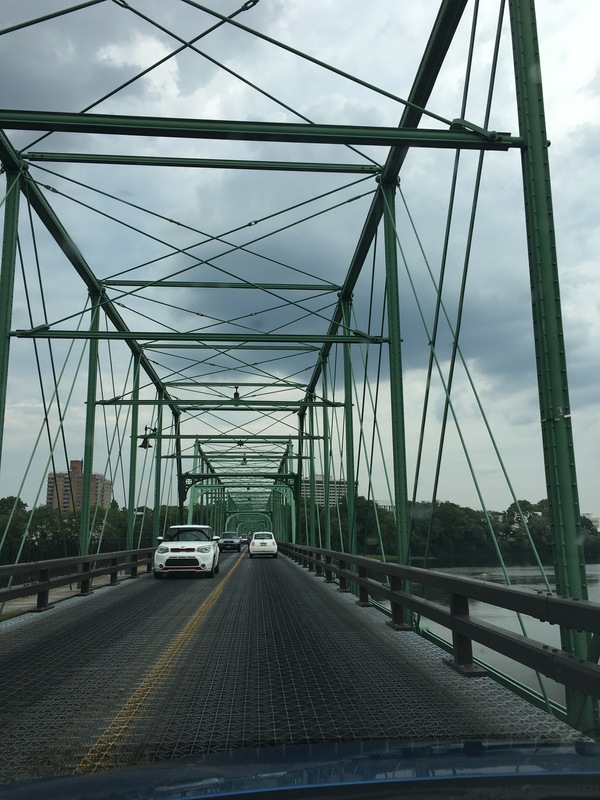 But, to find places in Trenton requires a bit more work. After a bit of sleuthing (trying to decide where to actually go), I landed on the Visitor Center for Washington’s Crossing Historic Park. I navigated around a path, illegally backed up, went the wrong way on a one way, and finally ended up in a parking lot for the center. All the lights were off. Inside the Visitor Center. I’m not sure where you weren’t supposed to take pictures, so I included a far away shot. I went in, and the lone man at the desk informed me he had the lights off to help with the heat. Understandable. I paid my $1.00 to see the movie (I offered to pay the park entrance fee as no one had been at the gate, but he said they only charge on weekends.) and started to look around. 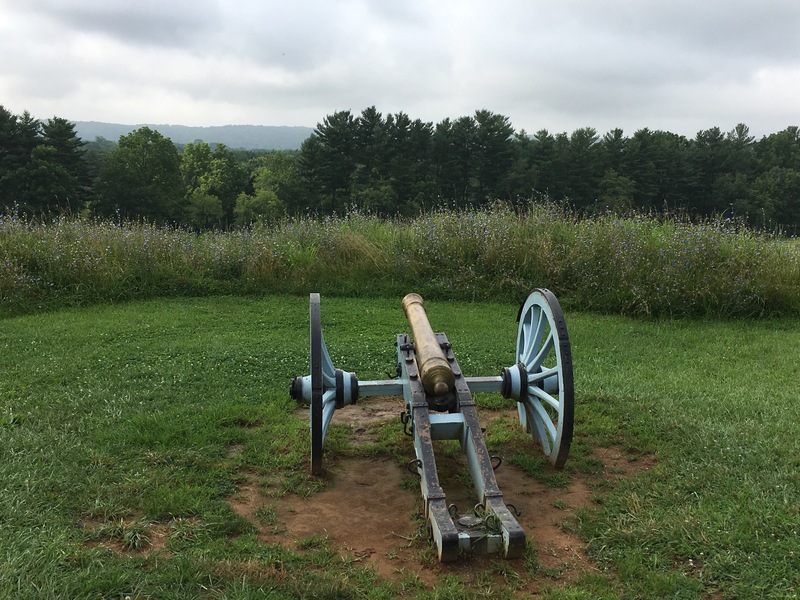 This is actually an incredible site with some incredible artifacts, including some of the first medals given out to a number of military men who made a huge difference in the American Revolution. The movie explains about the time leading up to the American Revolution. 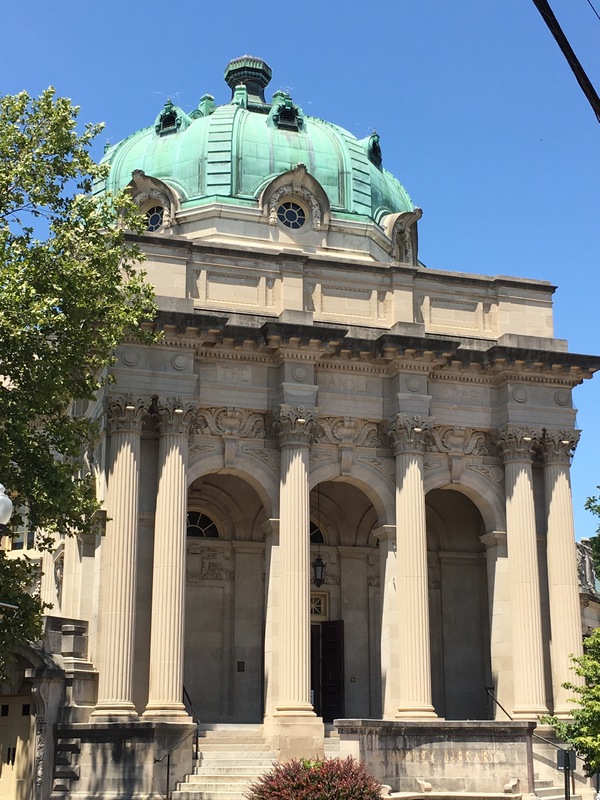 While the museum may not seem like much, the directors were apparently all at the American Revolution Museum in Philadelphia deciding how they wanted to make this museum better. But, he assures me that project is still 6-10 years down the road. One of the most interesting things I learned is that the story of the Hessians being hungover for the Battle of Trenton is a myth! The site calls it the biggest myth in American History that is even in school textbooks. But, the series of skirmishes in the area and the journals of the Hessians revealed that they were on guard against Washington and his men. 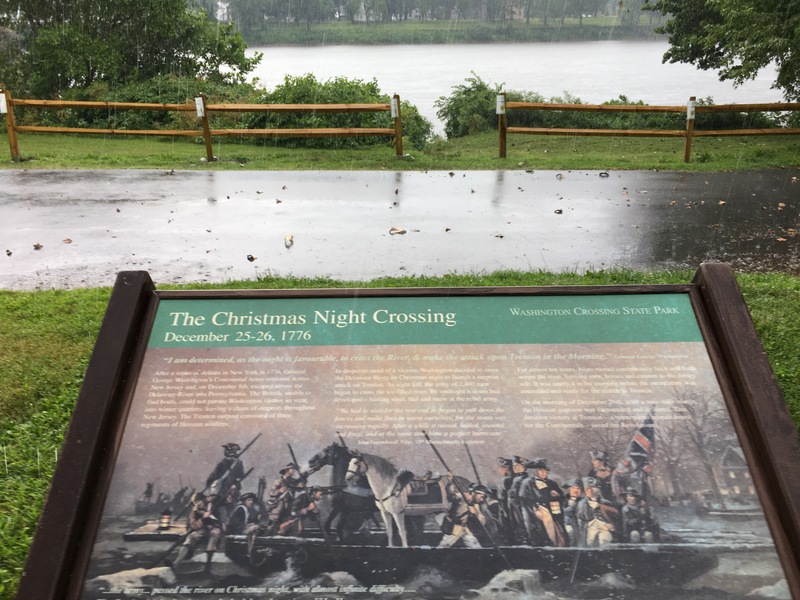 The fact that the weather was horrible (freezing rain at our backs and in our enemy’s face, which also affected their gunpowder) and that Washington had crossed undetected and attacked forcefully made the real difference. After looking through the museum, I asked the curator what he would recommend in town. He drew me a map to the Old Barracks Museum and the Monument, but told me to head down to the Johnson Ferry houses. One of the historians was down there, and she would be “a good one to talk to.” He was more right than he knew. 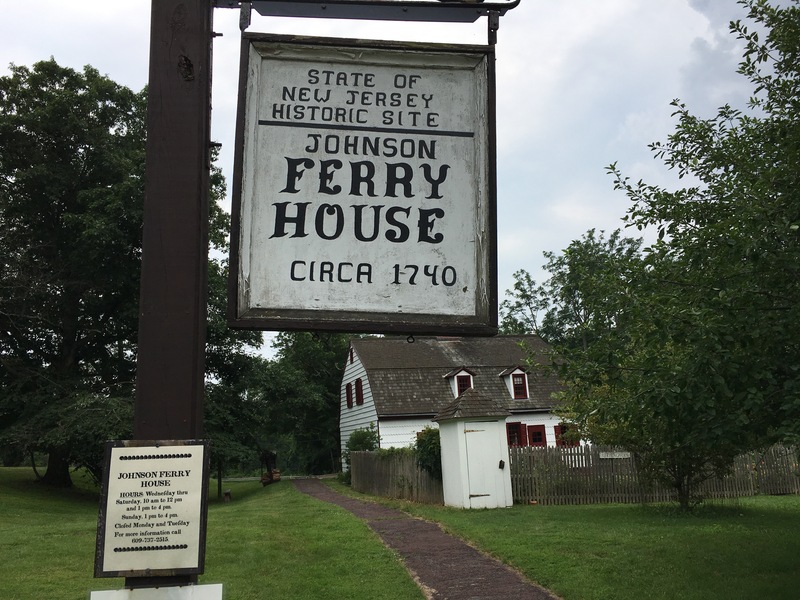 When I asked at the Ferry House, one of the historians said the other would be better as she’d grown up here and had been a docent here forever, whereas she was only a lowly seasonal employee (for 9 years!). But, she brought down Nancy Ceperley, who is a jewel indeed. For the next hour or so, Nancy and I sat on chairs in the Johnson house and talked about Washington. We discussed the fact that he was an eloquent man, reserved, focused, and determined. Nancy believes his aspirations to be in the gentry class stem from a desire to be able to serve on a greater level. Our conversation then turned to Washington’s faith. She mentioned his many letters and family observations that he was a deeply Christian man–not just a religious or moral man. We discussed his mason involvement, and the fact that the masons changed after Washington was in it, and that men at the time wrote to Washington to see if he could stop the changes, but he had a country to create by that time, and wrote that he could not focus on that at the time. 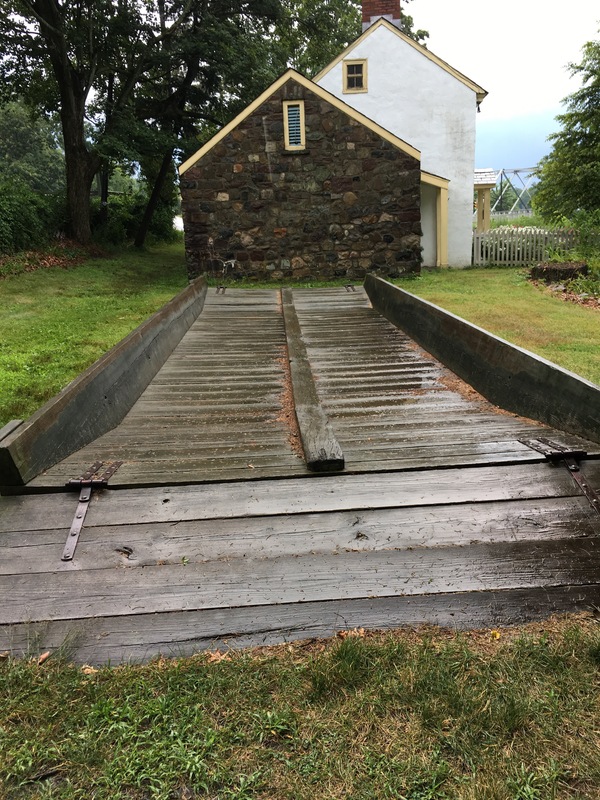 Our conversation then turned to the Crossing of the Delaware–the painting, the event, and the people who lived in this house located in a loyalist state who were willing to help Washington actively with ferrying troops and simply with their silence about the plan. What a great risk they took! This launched Nancy into a favorite subject of hers: The Great Awakening. 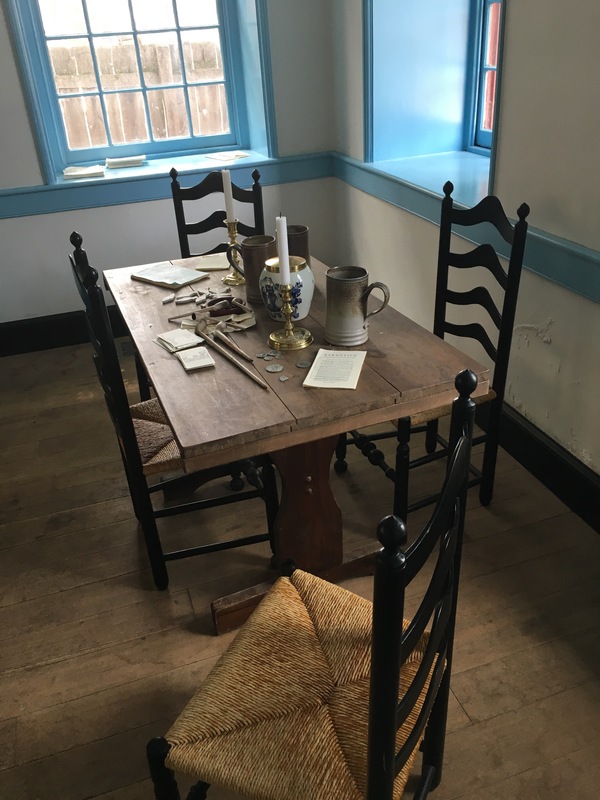 While she covers the aspects of the house that are of interest to whichever visitors she has, her true passion and course of study is the affect the Great Awakening had in preparing for the American Revolution. Were it not for that event pulling people together and giving them the principles, determination, and resolve to see Independence achieved, things might have been very different. What an incredible privilege to meet Nancy! We prayed together for the state of our nation today and for our respective roles in serving the public. She gave me a copy of her book Whitefield in Philadelphia: The Great Awakening of 1740, for which she spent years researching the connection between the Great Awakening and the American Revolution. I can’t wait to read it! As I stepped out to head to my car, contemplating the difference between my Turbo tour of yesterday, and this jewel, where I could literally sit for hours for a personal conversation with an expert, it began to pour rain! So, I drove down to the crossing site and took pictures of the boat replica in the pouring rain. But, as it was around 5:00, most things were closing. Though I drove by the Old Barracks Museum and the War Memorial, I didn’t have opportunity to visit either. Perhaps I’ll make it back before I head home. But, regardless, I had an incredible day enjoying two of New Jersey’s hidden treasures! The Handley Library in Winchester is an incredible building architecturally. I headed down to the archives and started looking through their collection of Washington items. 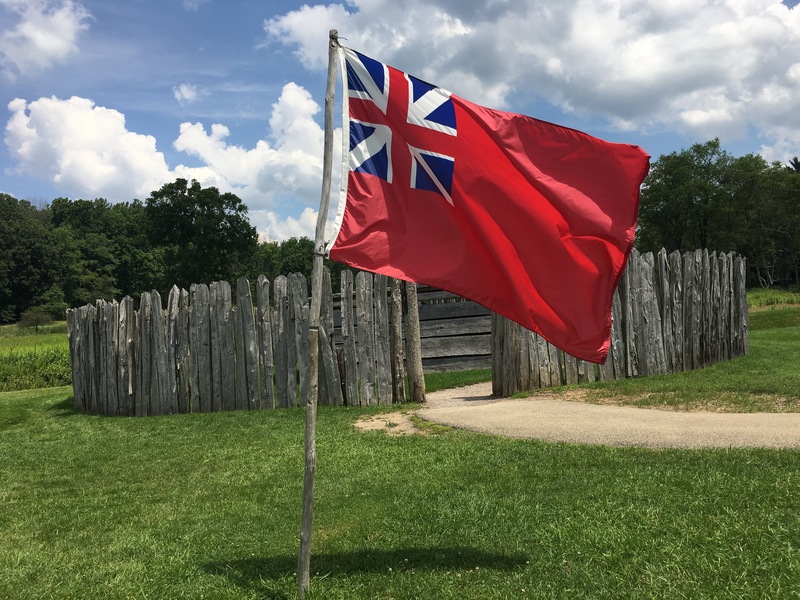 While I didn’t find really anything new, (though I got to see some cool things), I learned that they have a French Indian War Organization whom I decided to try contacting. 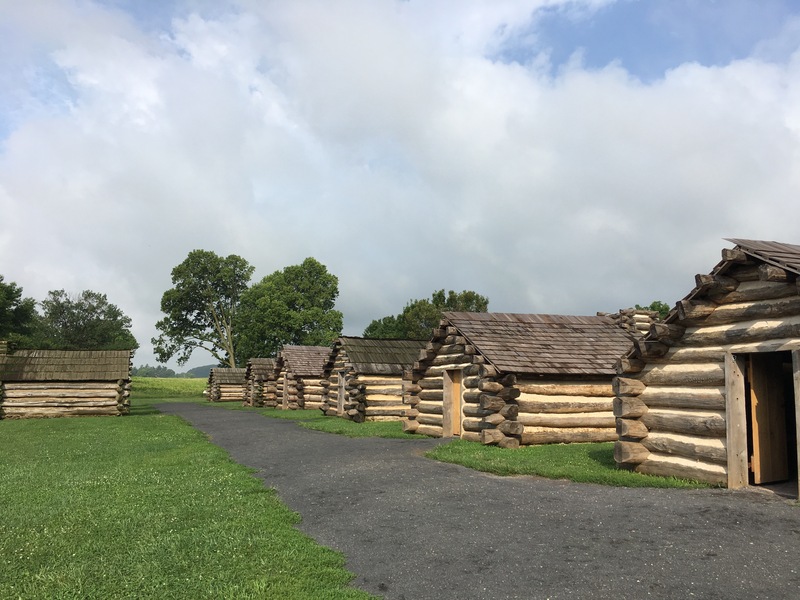 When I stopped by the headquarters of the Organization, however, I discovered it was located at the site of Fort Loudoun, which George Washington designed and oversaw. Unfortunately, there isn’t anything left of the fort but a filled in well–it now has houses on the site–but, they had an audio tour with some good information. As I was heading to the Fort, I had noticed a sign for the Stonewall Jackson Museum in Winchester. Since he’s my favorite Civil War General, I decided to swing by. I’m so glad I did. The site, known as Jackson’s Headquarters, was used by Jackson from 1861-1862. The house itself was built in 1854 and first belonged to a dentist, but he sold it to Col. Moore (Great Grandfather of Mary Tyler Moore). When Jackson came to town, he first stayed at the Taylor Hotel, but he had become famous (the whole “Stonewall” incident), so people were constantly trying to see him, and he never got anything done. Col. Moore knew of the situation and had planned on vacating the house, so he offered it to Jackson. 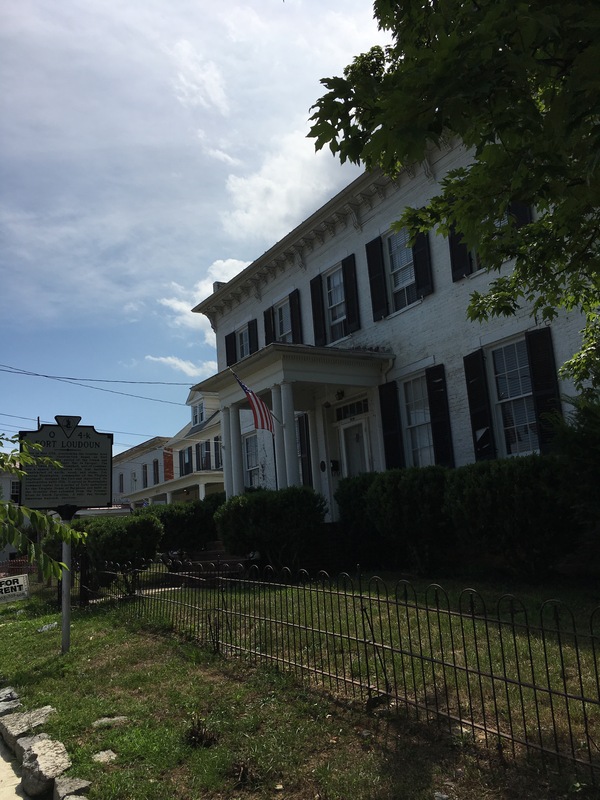 Jackson moved in November of 1861, and his wife came the next month. When he leaves in January for the Romney Campaign, his wife goes to live with the Grahams, so when he returns, he’ll go to her there and use the Moore’s home as his office. Incidentally, the wallpaper in his office, which Jackson described vividly enough that it was able to be reproduced, and when they found the original, it was the same design. Mary Tyler Moore paid for the office to be wallpapered again. Jackson came close to quitting the war in this room as well. He and General Loring had secured Romney (despite Loring’s delays and complaints over the conditions his men were enduring.) Jackson left Loring to keep Romney secured. Though the men were safe, Loring was frustrated with Jackson, felt vulnerable, and went over Jackson’s head to the War Department to have his men recalled. Without consulting Jackson, the War Department ordered Jackson to recall Loring. Jackson was furious and promptly resigned (asked for a transfer to VMI). Joseph Johnston talked him out of it, however. Still, Jackson was proved correct when the Union forces regained Romney as soon as Loring’s men had left it. 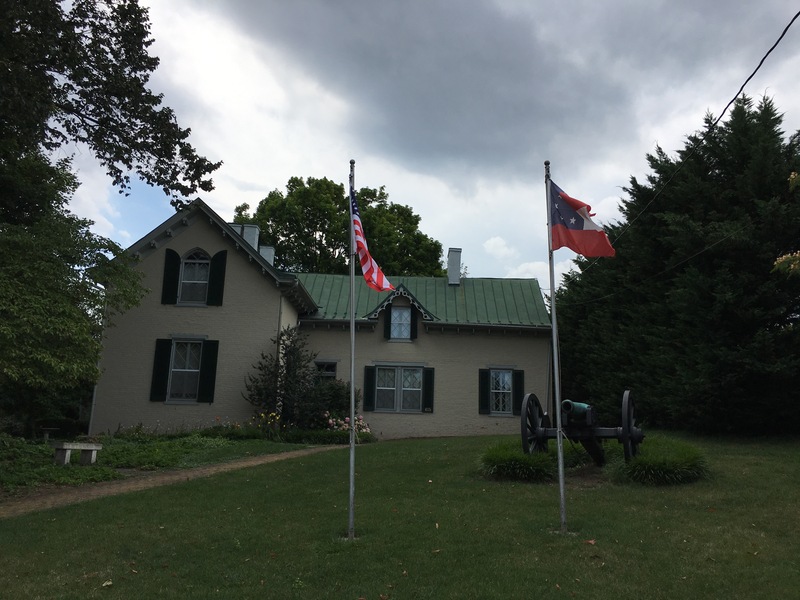 The Museum is also unique in that it has the Battle flag of the 33rd Virginia (Stonewall Brigade). When battle flags were surrendered at Appomattox Courthouse, a soldier managed to keep this one hidden. Another amazing artifact is Jackson’s prayer book. The curator explained he has lots of personal notes inside, but they’re not opening it. That’s disappointing to me–I would love to have read Jackson’s notes and prayers. She explained that Jackson’s habit was to pray three times a day. He used to hang a handkerchief on his tent so his men knew to leave him alone. While I only got the abbreviated tour (I got there at 3:30, and they close at 4), I absolutely recommend this site! 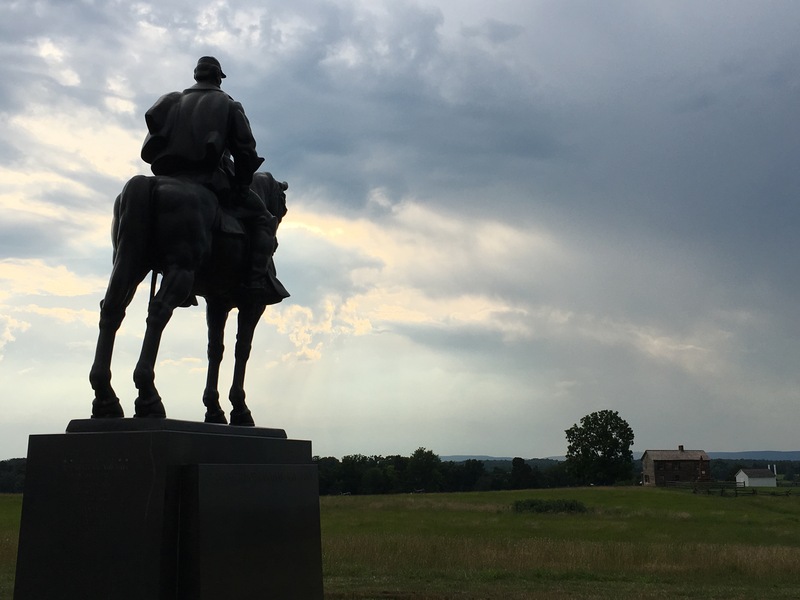 From Jackson’s headquarters, I finished the drive to Manassas, where I will spend the evening before heading to Mount Vernon tomorrow. It was perfect at the end of the day to see where Stonewall became Stonewall.